It’s been over three years and I still love living in an RV with my five kids. I realize living in an RV and traveling with kids is not on most people’s bucket list and for good reason. It’s challenging and requires a great deal of perspective. Most days I do have to stop and remind myself why this is a conscious choice made with intention. 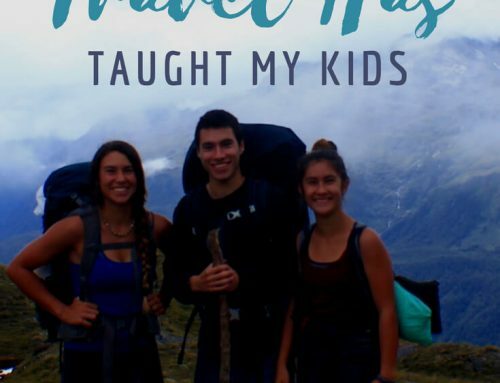 There are many reasons I love this lifestyle, but here are seven of the reasons I wake up excited to be living in an RV and traveling the world with my kids. I love that everything that is important to me is always with me and it can be packed up and ready to move in less than an hour. When I’m ready for a change of scenery or a new adventure it takes very little work to grab it and go. If you are considering living in an RV and traveling, think about where you’d like to see yourself spending most of your time. We live in an RV because we like an ever changing backyard, which means we pack light in order to move easily. Many people downsize to an RV to save money, but are looking to stay put in RV parks and can hang onto a lot more stuff. 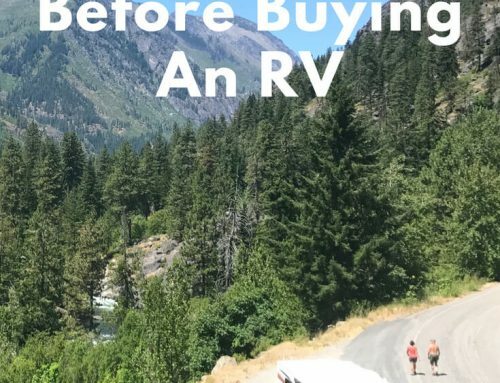 It’s very important to know what your intention is when you decide to live in an RV and travel with kids. 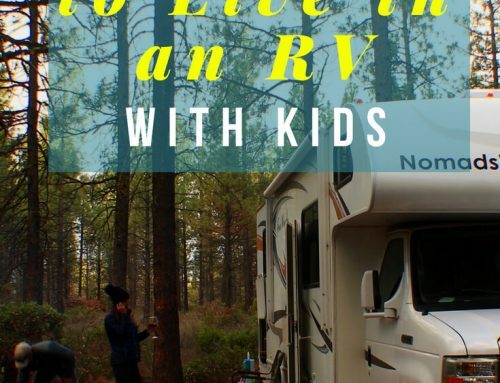 Our kids love the outdoors and living in an RV allows them to spend a lot of time playing outside. 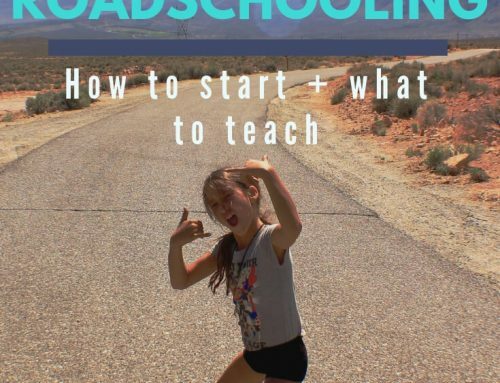 If you decide to live in an RV with kids, include them in the decision making especially when it come to where to go. Tip: Keep a dream board to add places that you and your kids want to see. Get a Push Pin Travel Map and strat dreaming. There’s a reason why pictures of hammocks are associated with vacation and relaxation. I dare you to try lying in a hammock and not feel absolutely in heaven while you are there. We have an ENO Hammock which you can hang from trees so wherever we are, we can lie back, relax, and watch the sky. P.S. The benefits of getting horizontal on your adrenal health is incredible. If we ever move back into a house, I’m hanging a hammock inside. I have three windows and a small shelf around my bed. I spend a lot of time curled up on my bed reading and writing or staring out the window at the amazing scenery I’m surrounded by. My friends tell me how each of their kids goes to their own rooms and watch their own show on their own iPad and I can’t relate. My kids all cuddle up wherever they can fit in our “living room” to watch a movie. The closeness our family gets from living in such tight quarters is wonderful. Tip: Eliminate as much stuff as possible. It’s amazing when you live in an RV how little stuff your kids really need. We end up spending so much more time on experiences that we really don’t miss our stuff. How many times a day do you get to look at the sky? It’s really amazing. Watching it change from darkness to sunrise as the sky moves through the colors—pink, purple, blue, and finally, a bright yellow—gives you a feeling of invincibility as you start the day. A feeling full of potential to do and be anything you want. Then, to follow the sun as it traces its arc across the wide open sky and observe the constantly moving clouds, reminds me of the impermanence of life and that the only constant is change. The beautiful colors of the sunset and the feeling of a day well spent reminds me to be grateful for all I have. Tip: Make an effort to wake up and catch the sunrise. It gets your day off to a great start! Click here to get inspiration and beta to plan your next adventure. I don’t know about you, but personally, I love road trips. Setting out on the open road makes me feel like a kid going to Disneyland. Our life has become one big road trip and the sense of adventure that comes with that is priceless. We have eliminated the nonessentials and have only kept what is of value to us. I used to spend hours cleaning my house, picking up after my kids, organizing and reorganizing all the stuff we had accumulated, now I don’t. There’s an efficiency to this way of living that makes life simpler and in doing so you feel lighter and can breathe a little slower and deeper. Living in an RV and traveling is not for everyone, but there are a lot of great lessons it does teach you. your lifestyle sounds wonderful…your children are very lucky. we are planning on getting rv for our family…not for full time but part time travel. we have 5 children but they are younger. 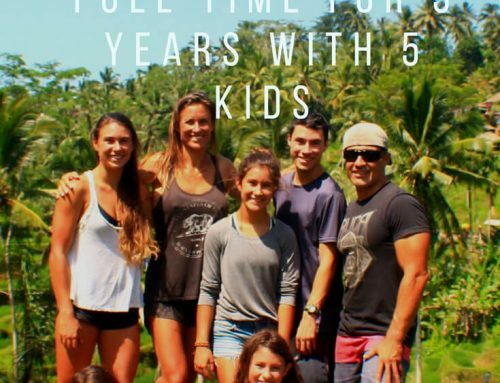 my question is when did you start traveling full time with your kids? and if they were younger how did you get from a to b with the kids…with car seats seat belts etc.